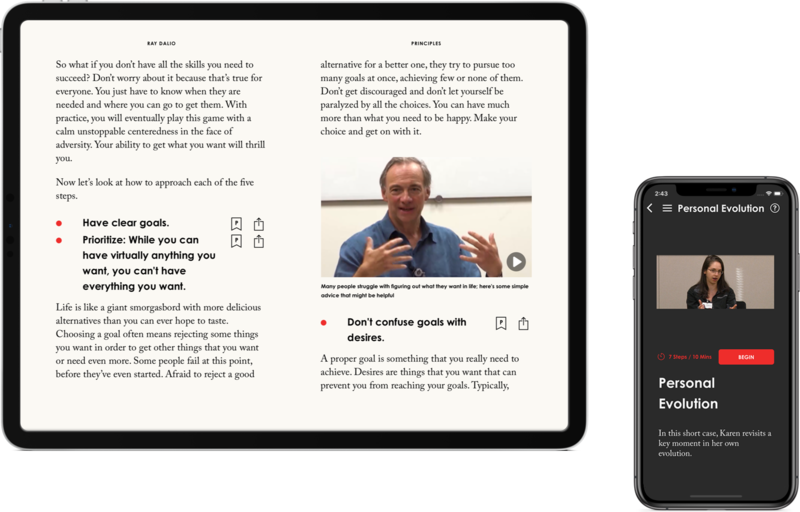 Learn to apply principles and achieve your goals. 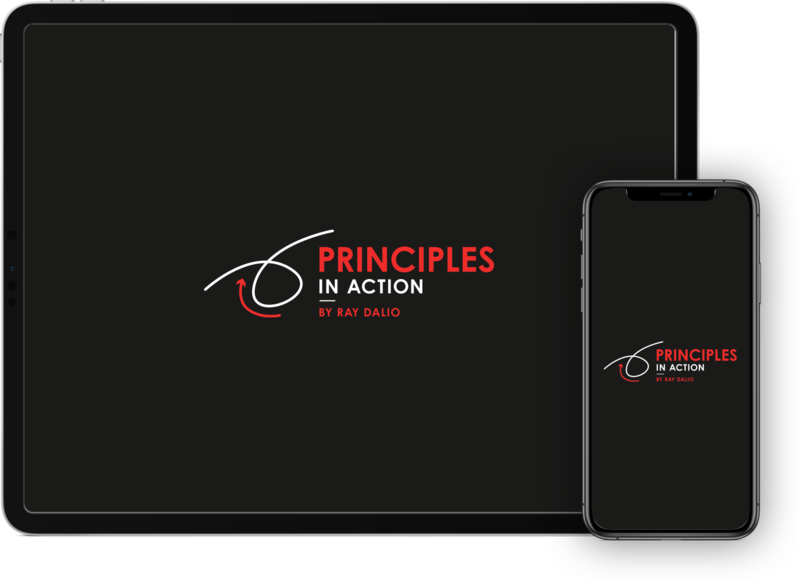 Experience Ray Dalio's bestselling Principles: Life & Work come to life as a free iOS app: Principles in Action. 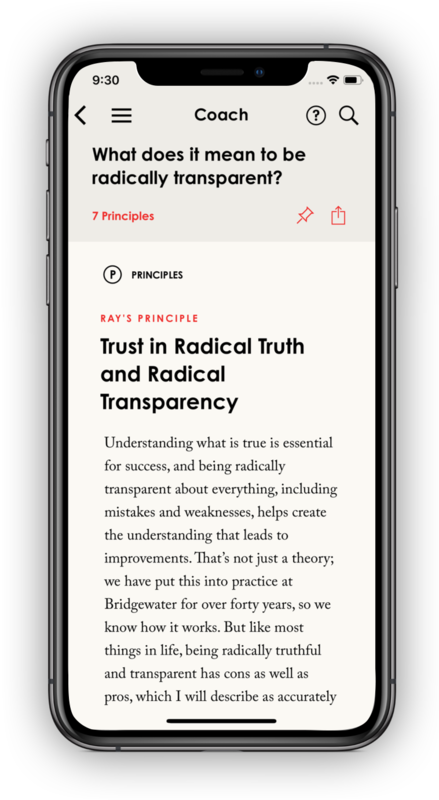 It combines the full text of the book with interactive videos of actual situations at Bridgewater so you can experience the principles in action. 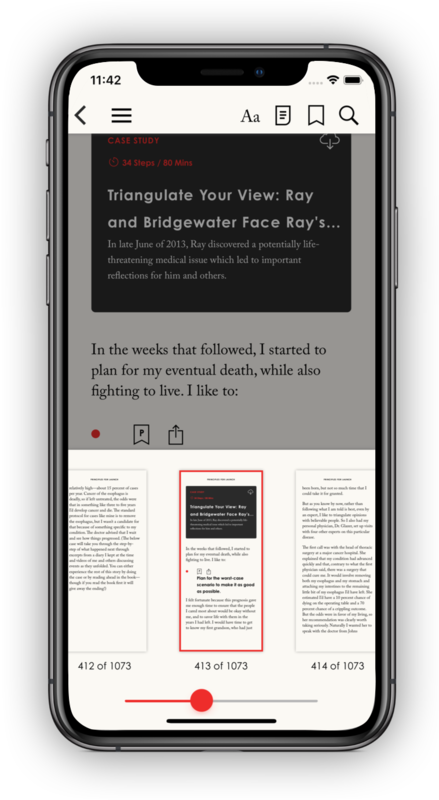 Watch an animated video and read Ray's in depth studies on how the economic machine works.